Dianne Holechek was thrown to the limelight when she became one half of a high-profile couple. As the former wife of a Hollywood veteran with an estimated worth of $70 million, and a plethora of film credits including hits such as Walker, Texas Ranger, Delta Force and The Expendables 2, it is almost impossible for Dianne to go unnoticed in the media. Here are interesting facts you should know about the woman who was once the queen of hearts to American martial artist, producer, and actor Carlos Ray “Chuck” Norris. Dianne Kay Holechek is a Californian born on November 27, 1941. There is a dearth of information about her parents, family background, early life, education, and career. Though Holechek is believed to have been a model and actress in her prime days, she is one of those women who are renowned as a result of their partner’s fame. As a youth, Dianne may have had some other screen credits which were not recorded as her only documented feature is in a shortlived low profile series Hollywood ’84. The show which was more like a documentary featured some industry big wigs such as Arnold Schwarzenegger and Steven Spielberg. 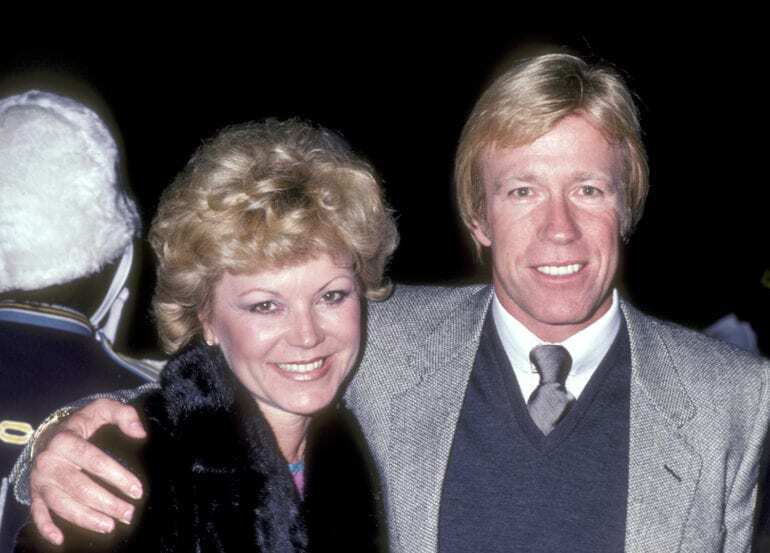 Dianne Holechek was sprung to the limelight following her marriage to karate master, Hollywood actor, and author Chuck Norris. The former couple’s love journey dates back to their teenage days way before Norris became famous. The pair who were high school sweethearts in Torrance, California, dated for about a year before stepping things up a notch. They walked down the aisle as a young couple on December 29, 1958, in a quiet ceremony surrounded by friends and family. At the time, Dianne was a 17-year-old bride while Chuck was just a year older and a fresh graduate from the US Air Force. Dianne Holechek and Chuck Norris’s union produced two sons. The first Michael Ray was born in 1963 while the second, Eric Scott was born in May 1965. All was presumed well in the couple’s marriage until Chuck Norris had an extra-marital affair with an unnamed woman which produced a daughter named Dina in 1964. That affair reportedly became the crux of other subsequent issues the couple had in their marriage. Sadly after about 30 years together, Dianne and Chuck’s marriage finally hit the rocks and they officially divorced in 1988. Though the former couple who was once head over heels in love never disclosed the reason for their separation, many speculated that it was connected to Chuck’s affairs with other women. In some other quarters, it was alleged that Norris was overwhelmed by fame, money and the Hollywood lifestyle and found it difficult to create a balance between his career and family life. Dianne Holechek has maintained a low profile since after their divorce and not much is known about her life thereon. It remains uncertain if she found love again nor had any other kids. She could possibly be living the rest of her life single. On the other hand, her actor husband quickly moved on with his life. After dating a few other women, he found love again in the arms of Gena O’Kelly, a former model who is 23 years younger than him. Chuck and Gena tied the knot on October 28, 1998 and have produced two children together. The twins Dakota Alan and Danilee Kelly were born on August 30, 2001. The veteran actor and former model share an inseparable bond and have been going strong ever since then. Dianne Holecheck’s children with Chuck Norris are doing well for themselves. The first Michael ‘Mike’ took after his actor father career-wise. Some of his acting credits in the 80’s include Born American, Young Warriors, and Ameriggedon, amongst others. In fact, he followed up in his father’s legacy when he featured in the final installment of the Delta Force movie franchise, Delta Force 3: The Killing Game. More so, Mike and his wife Valerie own an entertainment movie studio which specializes in directing Christian movies. On the other hand, Dianne’s second son, Eric Norris is an accomplished former NASCAR driver and stuntman. An Arizona University graduate, Eric contested at several professional race car competitions. Notably, he won the 2002 Nascar Winston West Series Championship. As a stunt driver, Eric has also worked for some Hollywood productions such as Universal Soldier, National Treasure, and Office Space. Again, Eric and his father Chuck worked together on a couple of movies including Texas Ranger and Delta Force. As expected, Dianne’s children Michael and Eric have expanded the lineage with their own individual families. So far, veteran actor Chuck Norris can boast of an additional generation consisting of nine grandchildren and mostly from his two oldest sons.